Description: How'd you get the hair off that zombie? Oh well, looks better on you anyway. 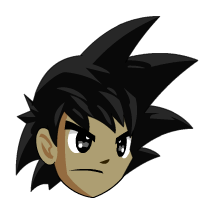 This item is a parody of Goku from Dragon Ball Z. Thanks to Apus and Bobalu.